Fir for Luck, by Barbara Henderson, is a tale of the Highland Clearances, based on the true story of the township of Ceannabeinne in Sutherland. The Highland Clearances were a dark time in the history of Scotland, when the landowners acted with high-handed callousness in evicting tenants who had worked the land – some of them for generations – in favour of sheep farming. It’s a subject that tends to get me really quite angry – although not a Highlander myself by birth, most of my childhood was spent living in the Highlands and Islands, so it’s a subject close to my heart. Which means that my yardstick for measuring the effectiveness of a book based on the Clearances is whether it makes me angry or not. By that token, Fir for Luck is an excellent book! 12-year-old Janet lives with her family in Ceannabeinne. One day in 1841, while all the men-folk are away cutting thatch, she sees a Sheriff Officer approaching the village – and that can mean only one thing: a writ of eviction. During the Clearances, whole townships were sometimes evicted with a little as a day or two’s notice – and once you accepted the writ, touched the paper, even, that was it – there was nothing you could do. But if the Sheriff Officer doesn’t manage to hand over the writ, the eviction notice just hasn’t been served. So Janet makes a split-second decision to take the fate of her village into her own hands, and do something about it. So begins the conflict between the villagers and the manager of the estates. It’s a war with several battles, and Janet is at the forefront of each of them. It’s a war they can’t win, of course – while justice is on their side, the law is another matter entirely. The whole village knows what’s at stake. Janet’s own grandmother went through a brutal eviction in 1814, an eviction that led her to settle in Ceannabeinne, and Henderson weaves interludes from Granna’s story throughout the book. This is an important point – the Clearances went on over generations, and families driven from one home were sometimes driven from another just a few years later. It’s an injustice that should never be forgotten. Sorry. Got a bit angry again. Fir for Luck does more than just tell the true story of Ceannabeinne, though. It provides a rich portrait of Highland life in the mid-19th century, evocative and convincing, and populated by highly believable Highland characters. It’s also a gripping read, and Janet’s bravery really keeps your attention. Each little victory is a triumph, and each new setback is a disaster; the tension rarely lets up. This is an excellent debut, atmospheric and thrilling. Highly recommended – even if it does make me angry. 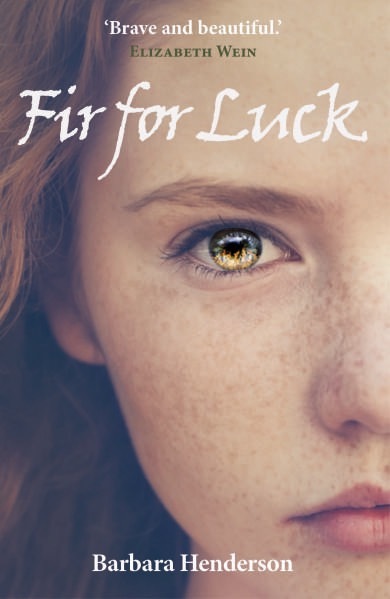 I was delighted to take part in the Fir for Luck blog tour with a guest post by Barbara on the real-life location that inspired Fir for Luck.